A JCU international student has been awarded a $50,000 scholarship to help with his studies in Australia. Founded in 1930, the Australian Council for Educational Research (ACER) is an independent, not-for-profit organisation which aims to create and promote research-based knowledge, products and services that can be used to improve learning throughout life. The ACER International Student Scholarship, which is based on the highest score achieved in the International Student Admissions Test, helps support an international student who wishes to study for an undergraduate business degree at an Australian university. The scholarship, which will be paid over two to three years, will cover Mr Tan’s tuition fees. Mr Tan said winning the inaugural ACER International Student Scholarship was a “lucky break”. “I don’t consider myself to be academically inclined, at least compared with my siblings,” he said. Although he is a Malaysian citizen, Mr Tan spent most of his life in Singapore, including completing national service there. 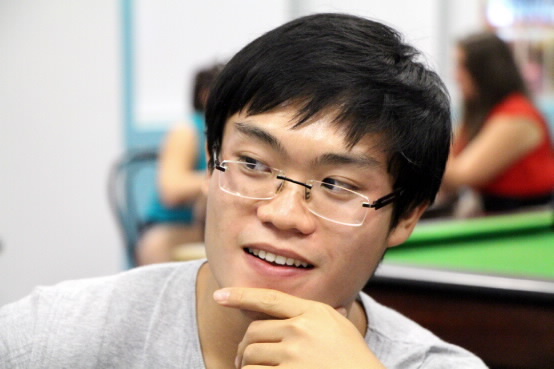 Mr Tan, who describes himself as having been an international student since kindergarten, said studying a Business degree at JCU in Townsville was a “smart choice”. “The whole point of a university education is to arm you with the right tools to advance your career, but studying in Australia also supports my education as a citizen of the world,” he says. The 21-year-old said the ACER International Student Scholarship would ease the financial pressure on his family. “My parents have inspired me to strive to make the most of my abilities; it is their sacrifices that have enabled my successes." Mr Tan said he had originally intended to study a Bachelor of Psychology, with the aim of completing an MBA afterward. “However, when the opportunity presented itself for me to try out both Psychology and Business at the same time, it gave me the chance to better understand both degrees, and therefore make a wiser decision with regards to my Masters,” he said. “I originally chose JCU Singapore as it was regarded as the best university for psychology in Singapore. However, it did not provide a double degree in both Business and Psychology, something that could be found at the main campus. The news of his success in obtaining the scholarship came as a surprise, he said. He was looking forward to life in North Queensland, he said.